Description: We had a chance to go to Nepal and get closer to the top of the world. And we've managed to capture our traditional drone "besos" with the sublime Mt Everest and its 8848m in the background ! 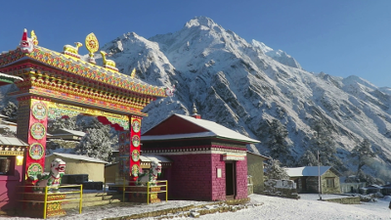 Check it out :) The video also capture the unique beauty of Nepal in the following places : * Kathmandu and Thamel * Lukla and its airport ("the most dangerous one in the world") * Khumbu valley * Namche Bazar * Tengboche Monastry * khumjung village Enjoy !